Lyon is to Paris as Melbourne is to Sydney or Florence is to Rome. 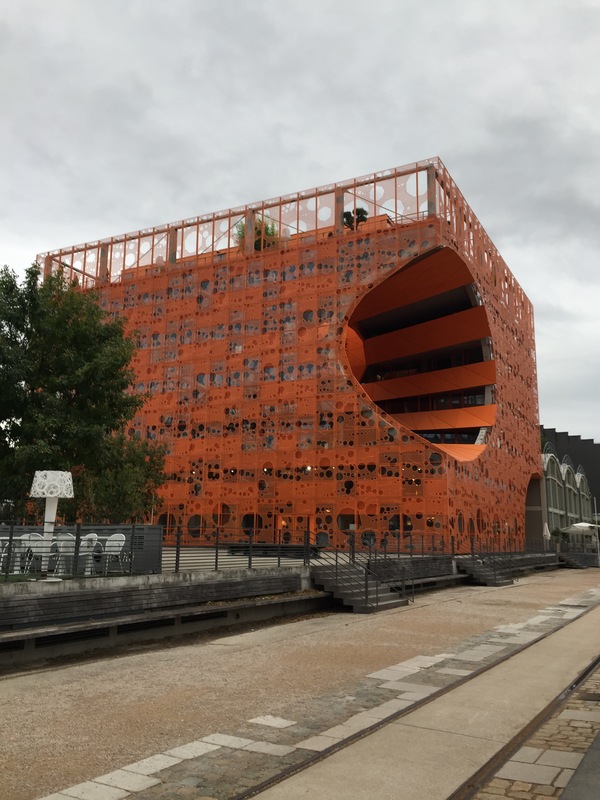 Like all these cities, Lyon promises an authentic locale that is moodier, lesser known but romantic alternative to the star attraction. Like its counterparts, the beauty of the Lyon often gets overshadowed by the sparkle and delight of the big city, Paris. I get it. It’s hard. If you’re going to fly somewhere for 10 hours, why see the smaller less known city when EVERYONE wants to see the larger city displayed in iconic postcards or travel maps. 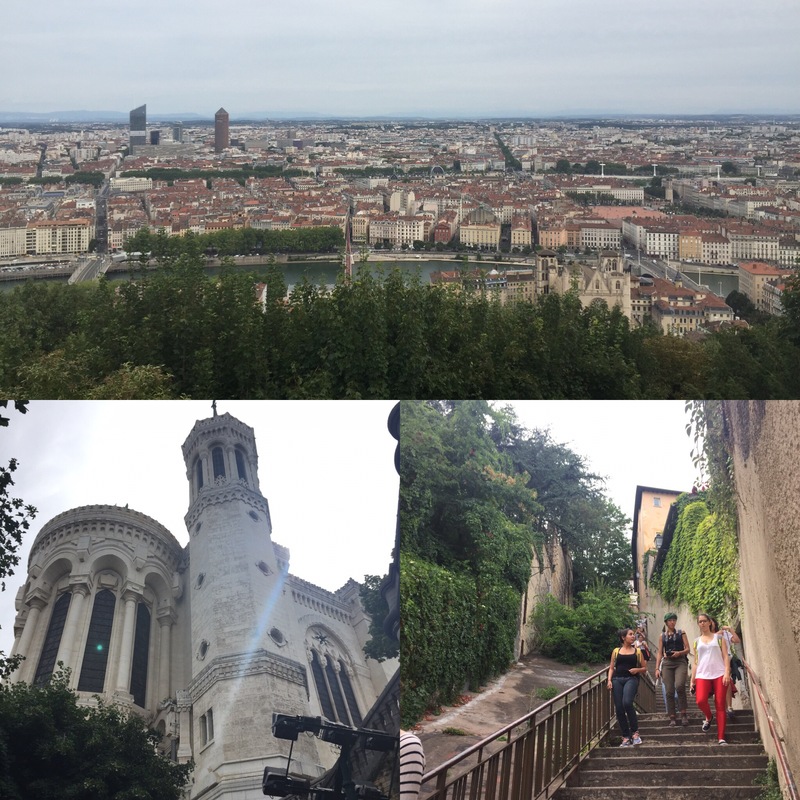 I urge you, take the leap and visit Lyon. I was turned onto Lyon through Anthony Bourdain’s CNN show, Parts Unknown. After watching him eat his way through Lyon, I knew I had to go and make it a must-do destination. 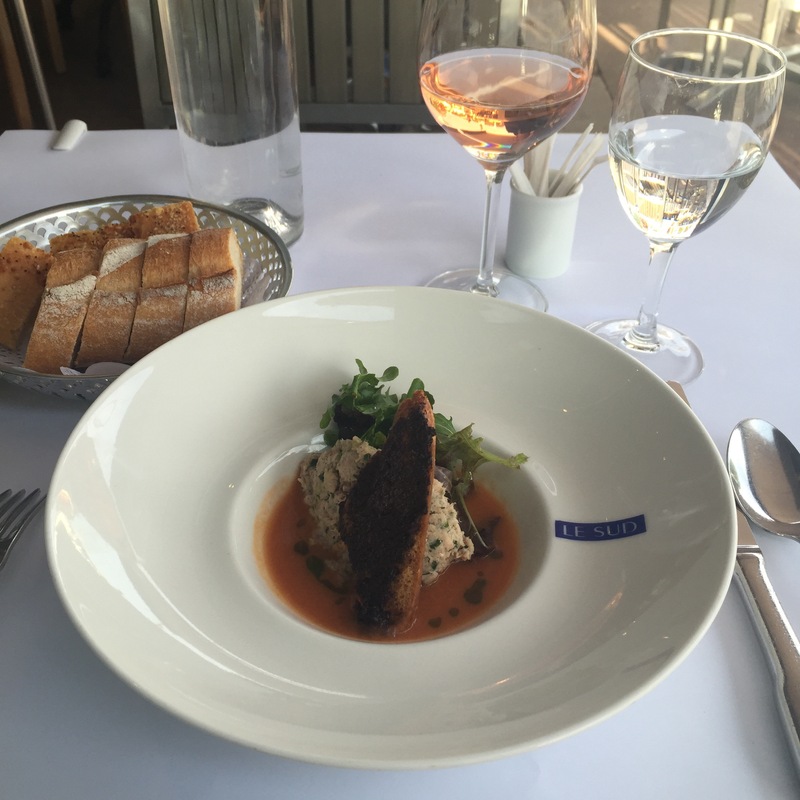 After all, Lyon is the Gastronomic capital of France, if not the world. Food IS art to the residents of Lyon. The birthplace of the Bouchon, Lyon offers up an incredulous amount of food and deliciousness that cannot be matched. 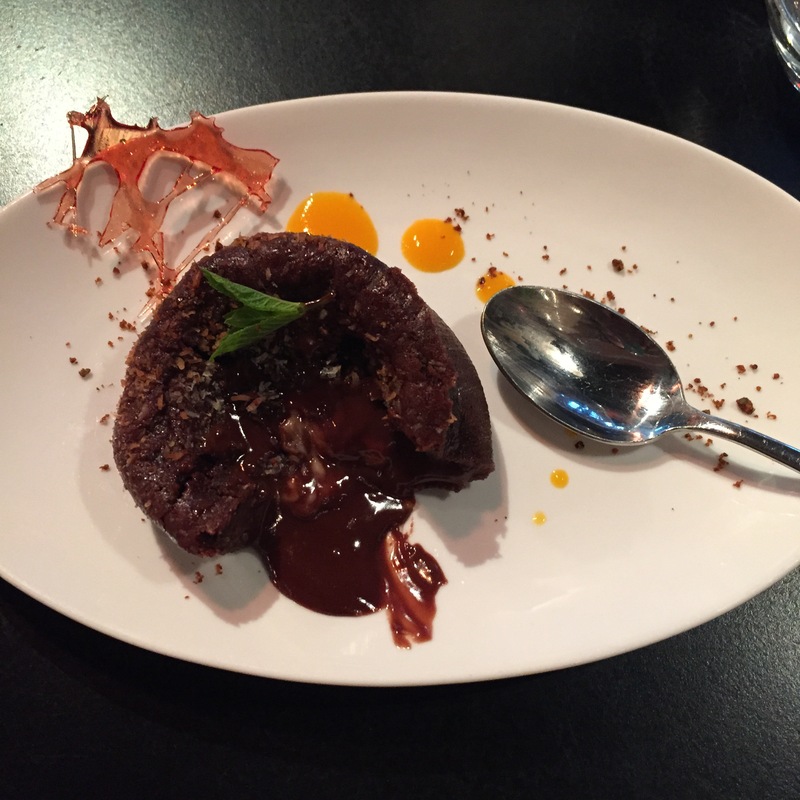 If you are a foodie, Lyon is where you NEED to be. 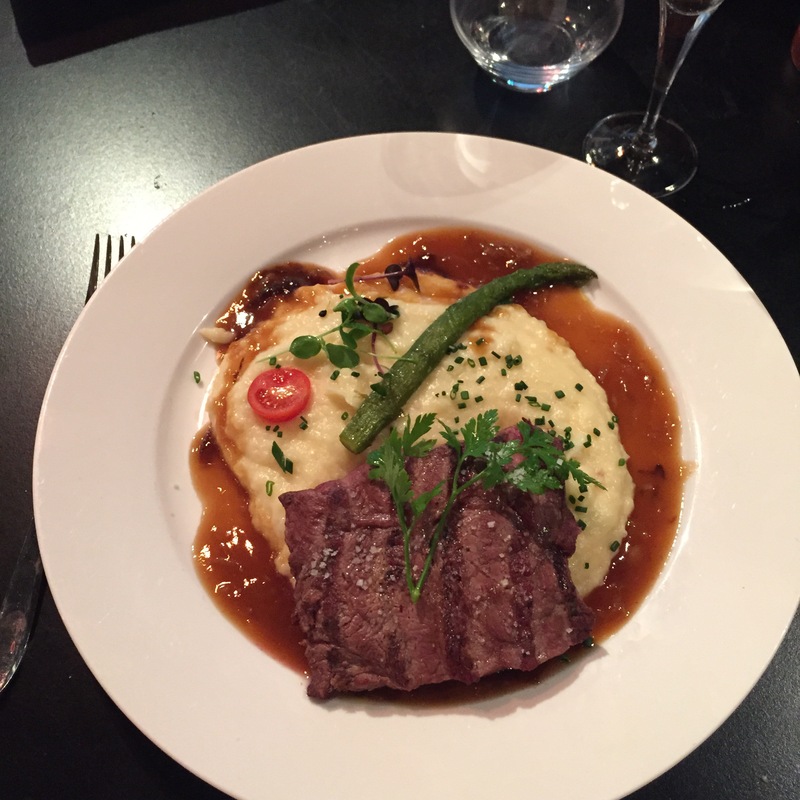 Lyon is where you NEED to eat. And Lyon is a place where you’d better be hungry. 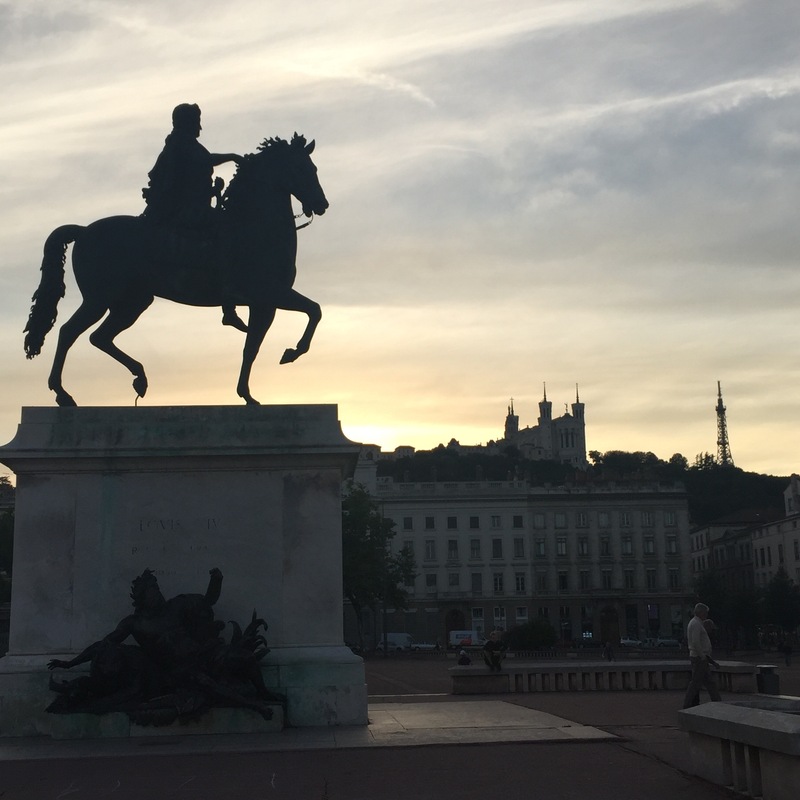 My trip to Lyon was fairly quick – I spent 72 hours in Lyon in between Paris and Luxembourg. 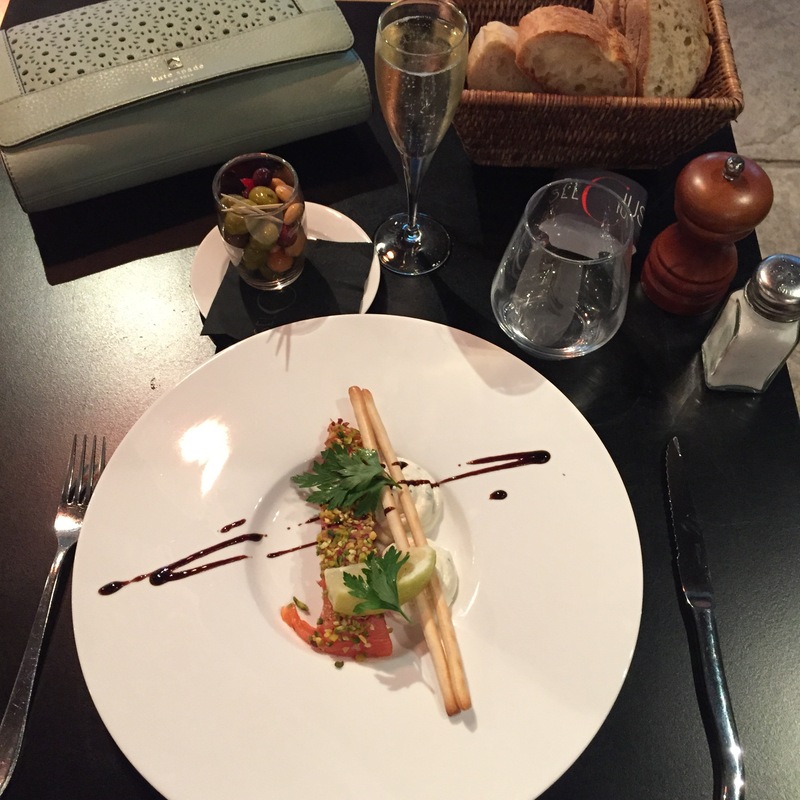 This was just enough time to take in Lyon’s sights and of course, eat. Like Paris, Lyon is organized into Arr. 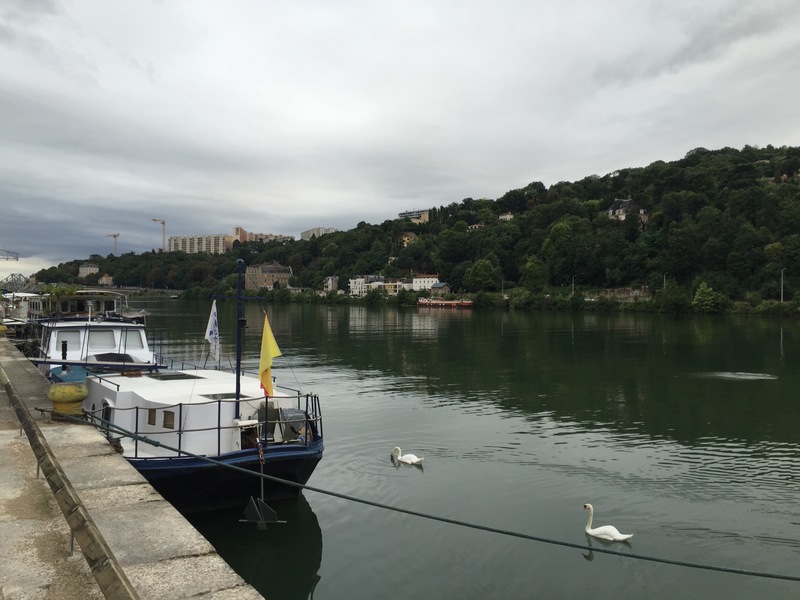 I stayed within the 1st Arr sandwiched between the Rhone & Saone rivers. 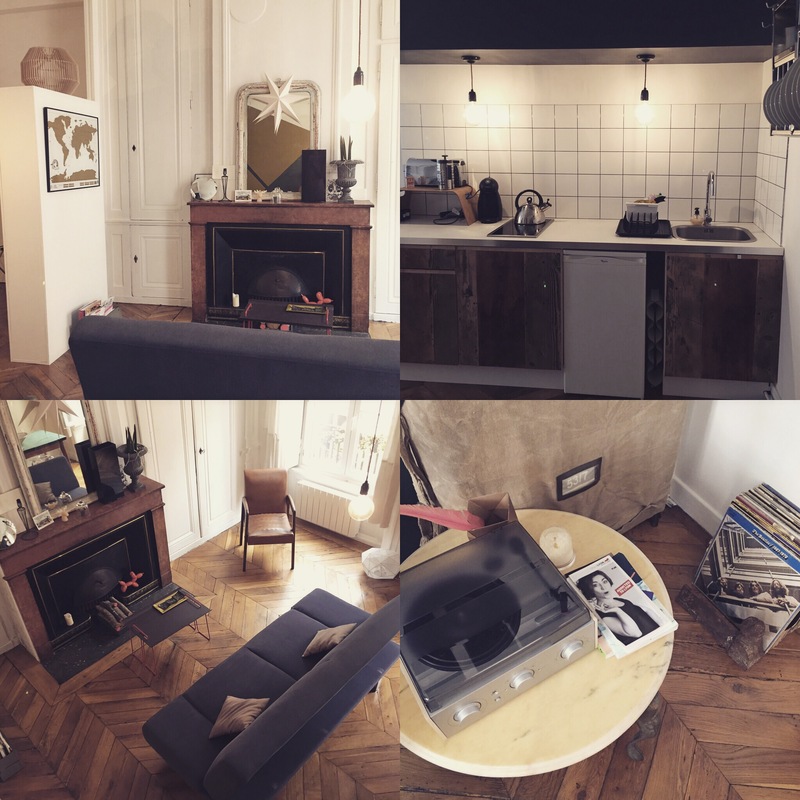 I booked a FANTASTIC Airbnb in Lyon where I splurged a little extra to have a cute flat with great design to feel at home and inspired like a local Lyonnais. I highly recommend this flat if you’re ever here. This location offered me greatest access the to the center of the city and allowed me to easily get to both sides of the ile and access to neighborhoods that surround both rivers. 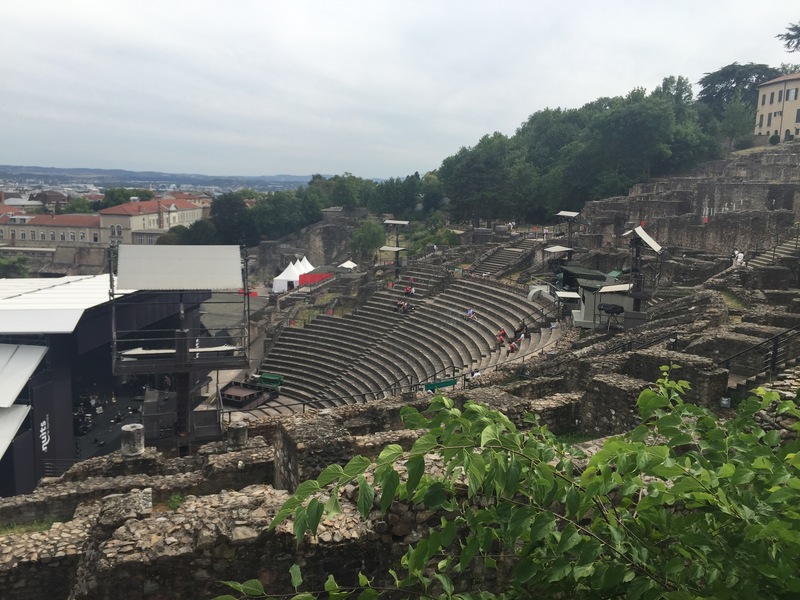 Gallo-Roman Museum of Lyon – A short walk away from the Notre Dame is an amphitheater that houses Greco-Roman remains. It’s another beautiful place to catch a view of the city but the amphitheater itself is also very impressive. As you wander through the amphitheater you will see outlines of old Roman buildings in the ruins. 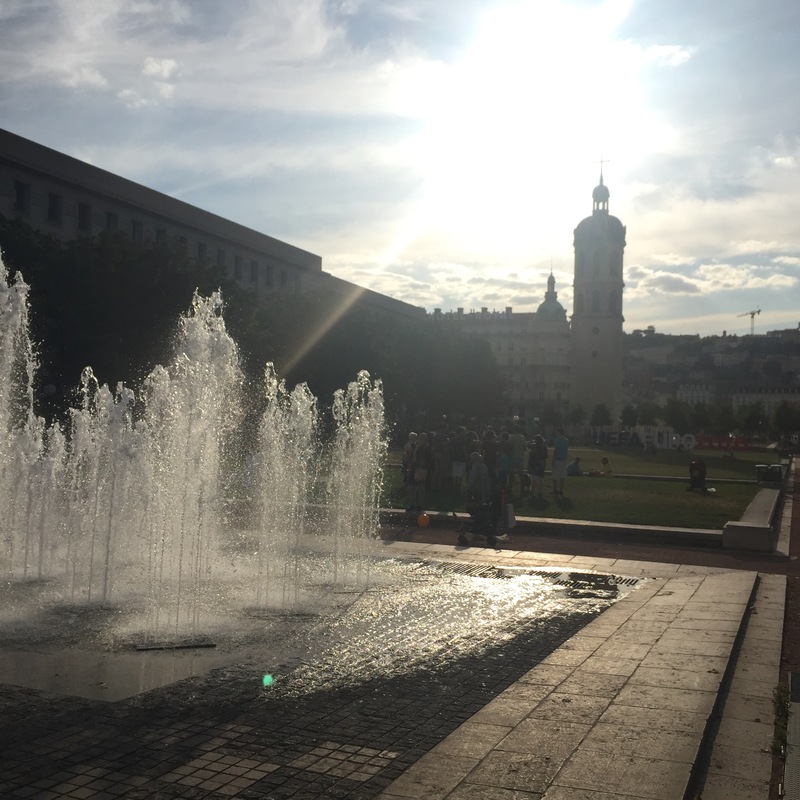 And if you’re lucky, you may catch an outdoor concert that often plays in the summer in Lyon. Cathedrale Saint Jean-Baptiste – This Catholic church is located in the Vieux Lyon (Old Lyon) and its magnificent Gothic style architecture sits gracefully along the nearby bank of the Saone river. 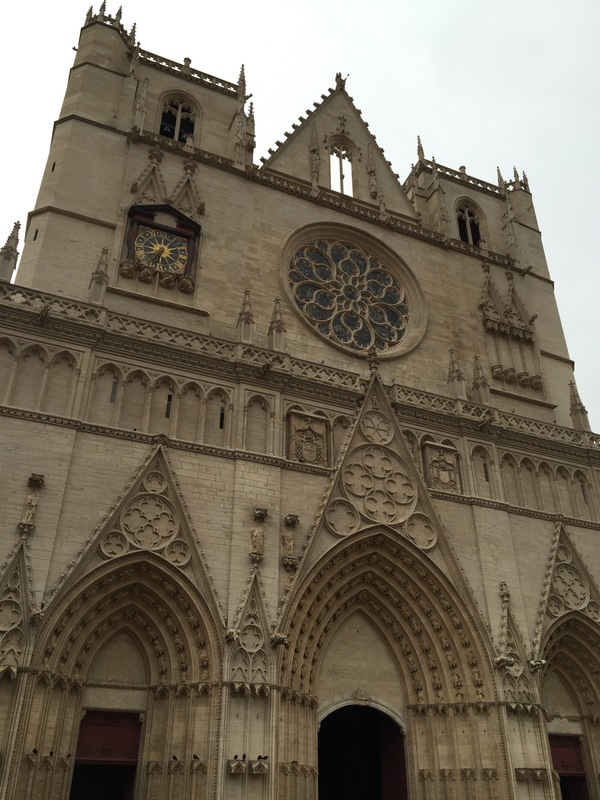 This church was completed in the 1400’s and was the main church of Lyon until the Notre Dame de Fouvriere was built. 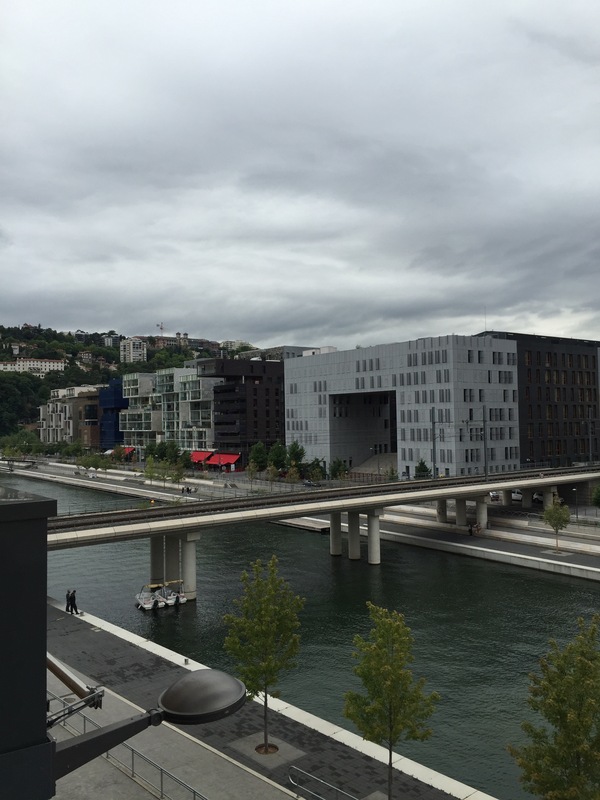 Confluence – As the name suggests, the Confluence is a new and modern section of Lyon that honors the meeting of the two rivers (La Saone & Le Rhone). The building constructed at Confluence is a modern development and offers a fairly extensive outdoor shopping center, riverfront restaurants and modern trails/walking paths in a modern development that offsets the antiquity of the rest of the city. You can get here in two ways via public transportation: 1) Train or 2) Boat Ferries. The boat ferries leave from Vieux Lyon and depart from several bridges located on the Saone river. I took a train but boat rides are offered as low as $10 Euro and allow you to see the city from a different perspective. Rue du Boeuf – This street is lined with 16th and 17th century Renaissance inspired architecture in Lyon. Close by to neighboring paraellel streets offers a wide range of shopping and restaurants. Walking along this street however seems to take you back in time and you will find great boutique shops (such as a shop for just Absinthe!) on your way to the stairs that lead up to the Fouvriere. 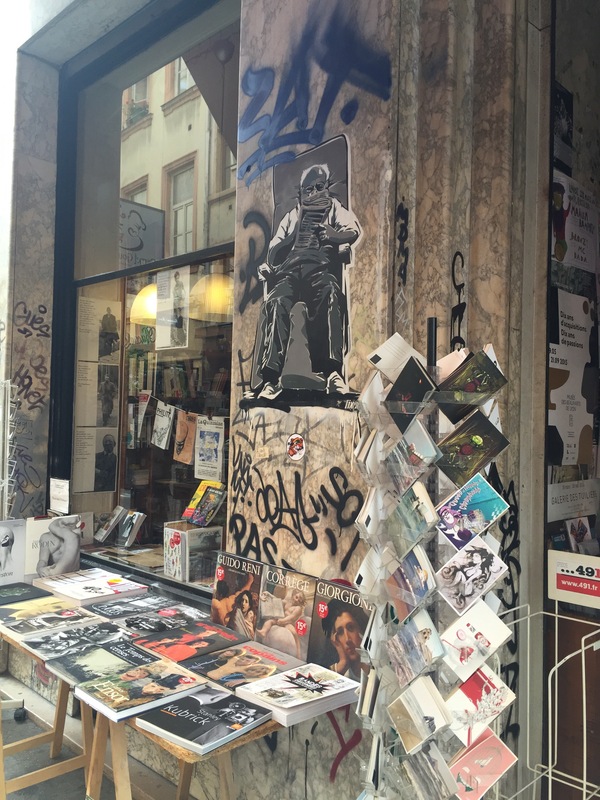 Rue Saint-Jean – This cobblestoned street is another vital artery to Vieux Lyon. Lined with artisan shops, mini-plazas, restaurants and the jovial buzz of tourists and Lyonnais, you’ll be entertained enough here as you head towards the Cathedrale Saint Jean. 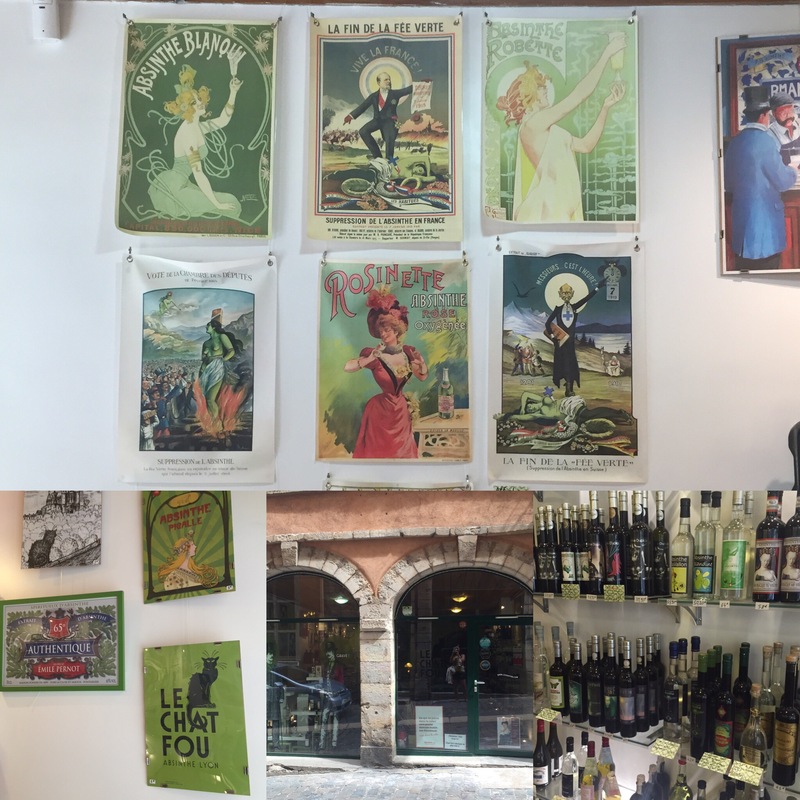 Le Chat Fou (Absinthe Lyon) – Translated, this means the crazy cat but this place is anything but crazy. Owned and operated by a young Lyonnais, this place offers a variety and collection of Absinthes in all flavors, colors and sizes. The owner here also creates his own blend to sell (that you can buy in small bottles). He speaks English and can walk you through the many kinds, offer up a chance to smell them all and give recommendations based upon taste preferences. Bonus, his shop is located right next to the steps up to the Fouvriere. 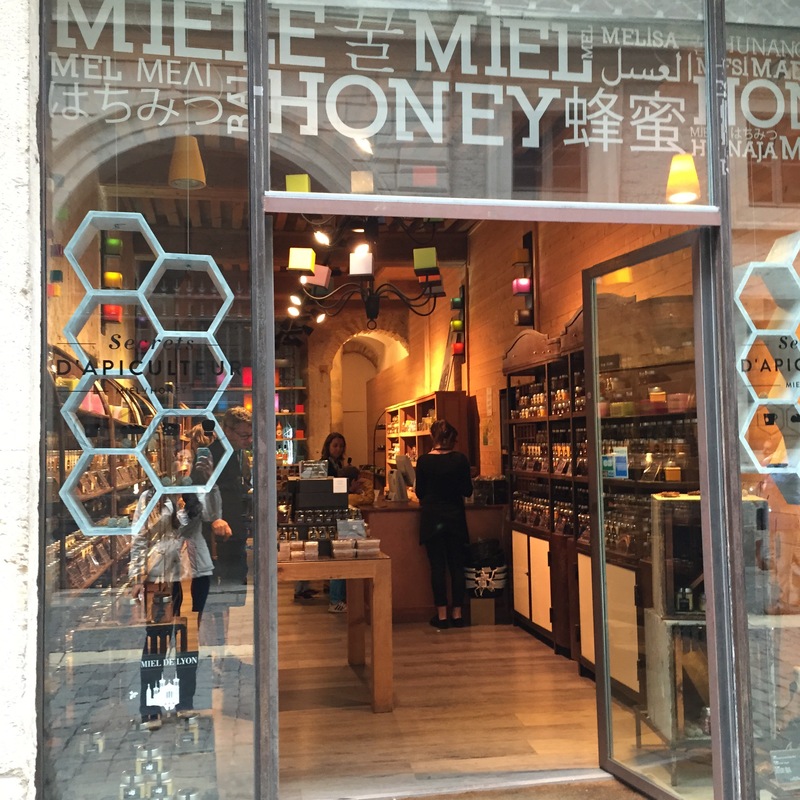 Secrets D’Apiculteur (Honey Shop) – The place to come to buy the Miel de Lyon as well as many other specialities of honey. 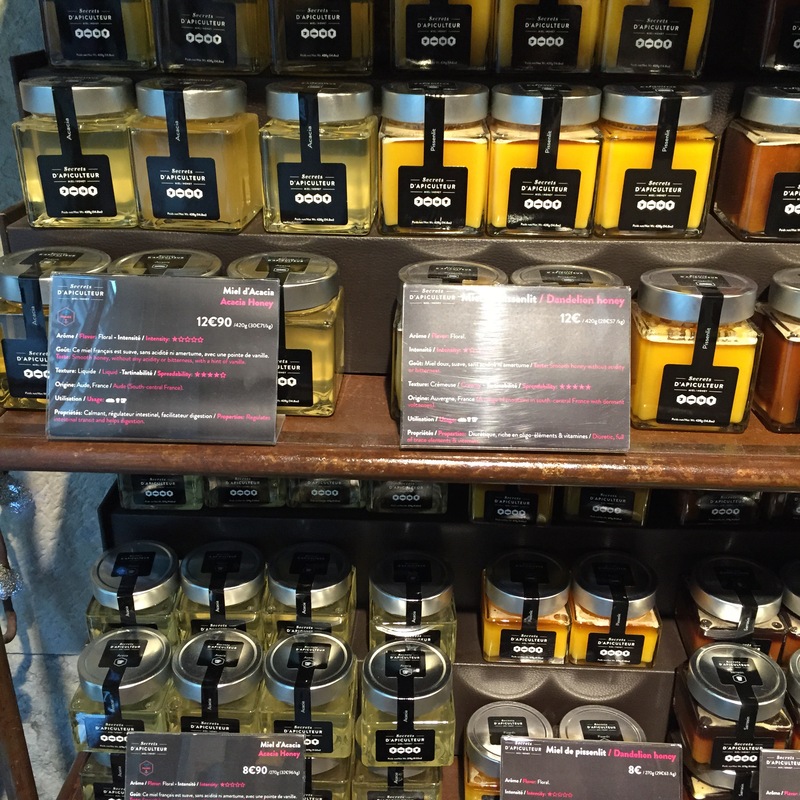 Here, they display honey like they display designer clothes or jewelry. 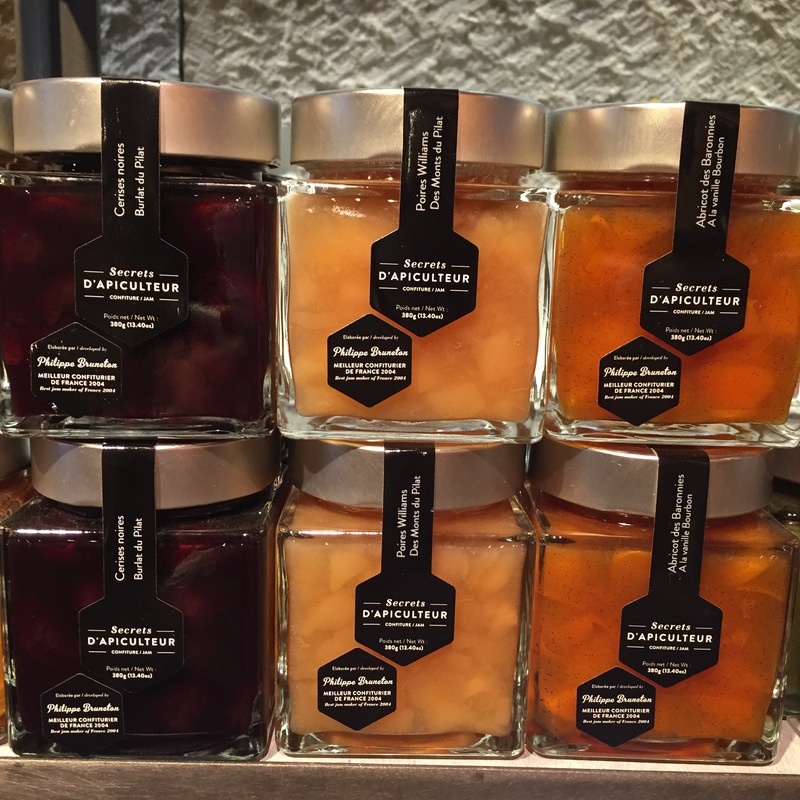 There are so many varieties of honey made from a variety of wildflowers and blossoms that are local and regional to France. 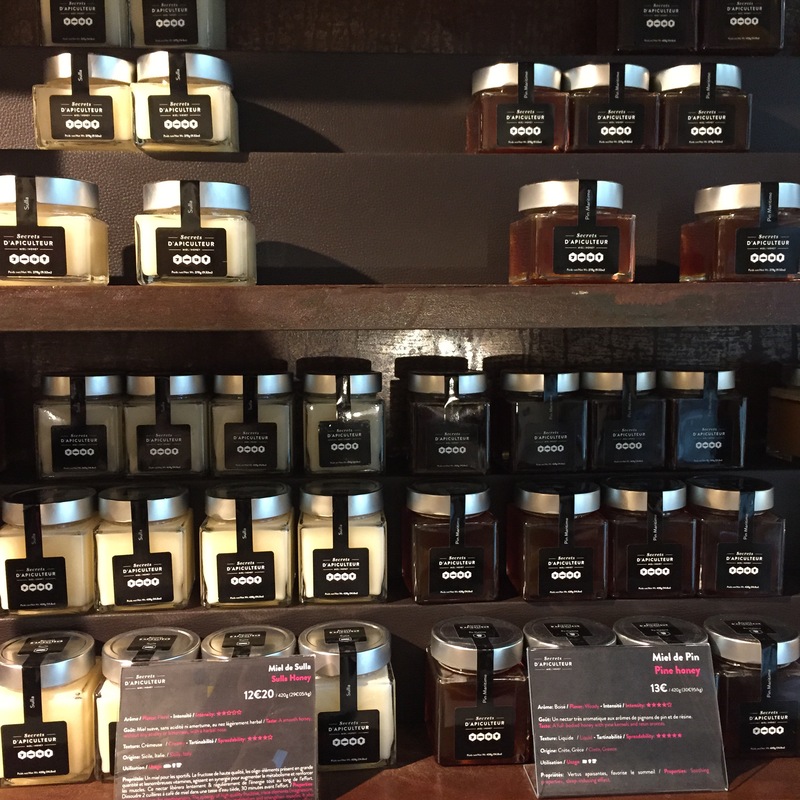 Aside from honey, you can also purchase jams, honey hard candies and others specialties here. A great place to pick up a foodie inspired souvenir! 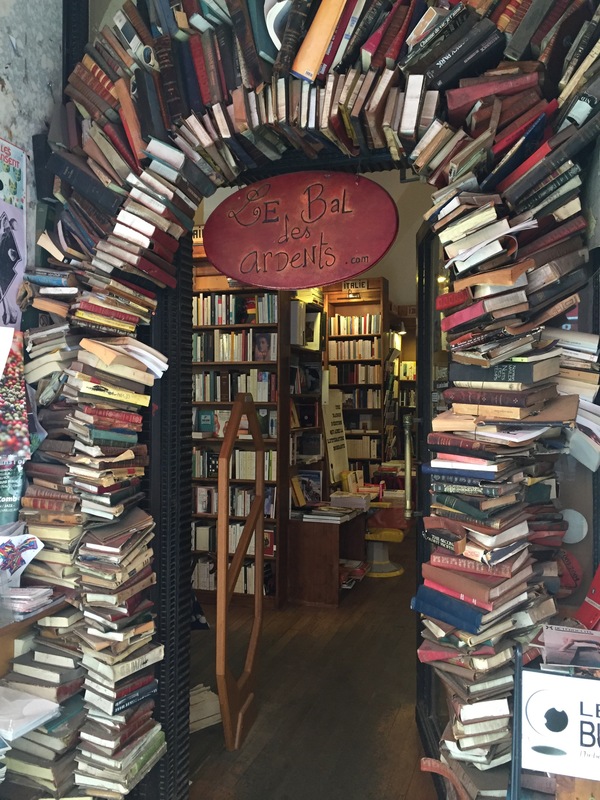 Le Bal des Ardents – I’ve become a sucker for old bookstores since wandering Paris. This old bookshop offers a wide variety of books in French (if you are seeking to find literature in French) and also has an interesting storefront facade that will make you look twice and wonder. It should come a no surprise that this bookshop also has a great collection of cookbooks. The creative art and entrance alone is worth a visit to this bookshop alone to have a wander. 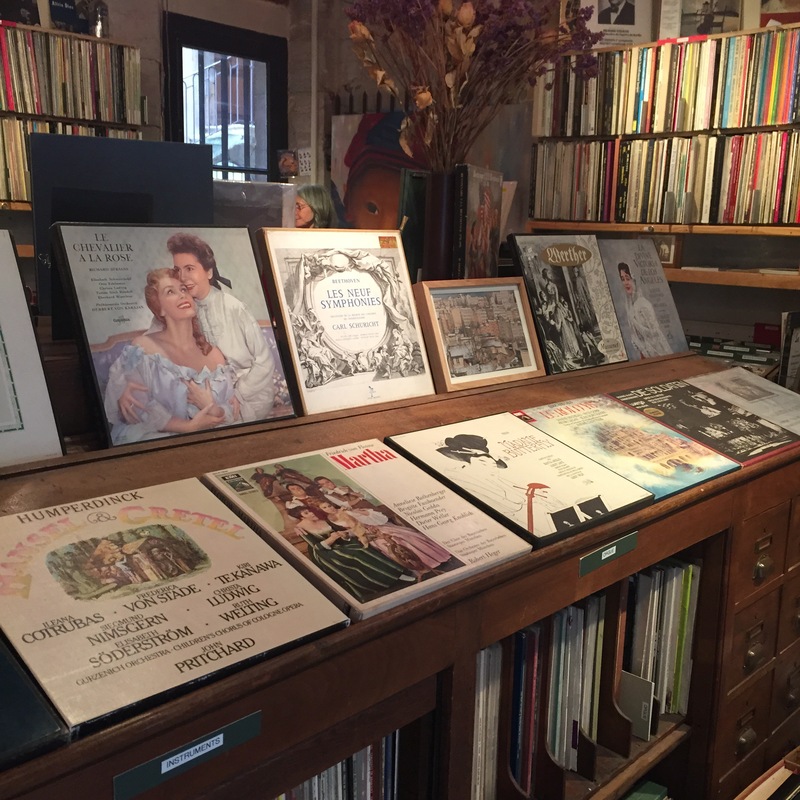 Ma non trappo – Come here if you want to browse old vinyls (obviously in French). 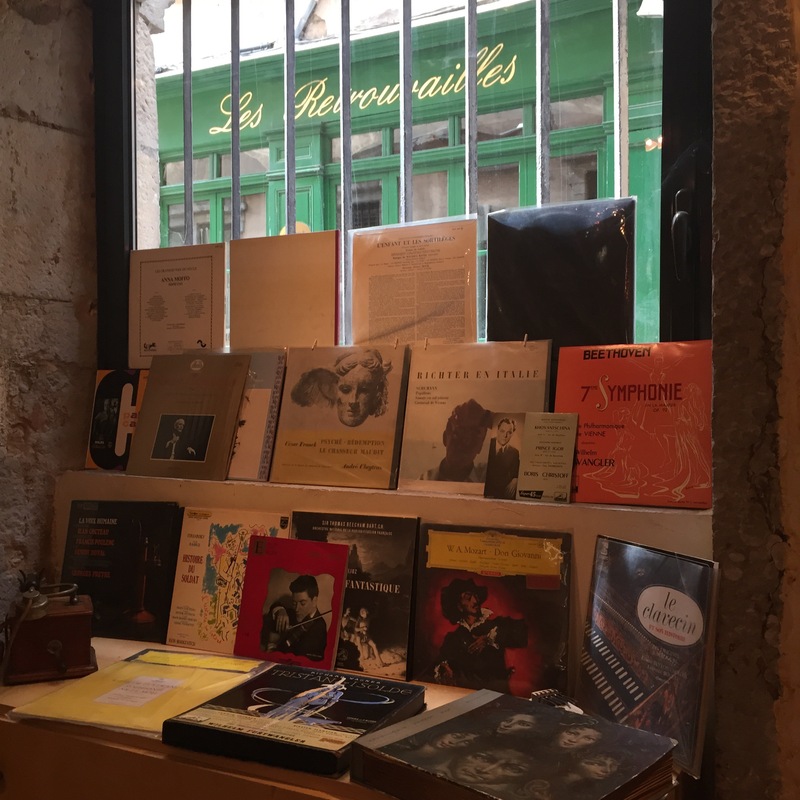 There seems to be quite a collection of old vinyl shops in Lyon and quite honestly, you probably wouldn’t be disappointed if you walked into any one. I only became fascinated with the old vinyl shops in Lyon because my flat come with a record player that I had no idea how to use. Once I had it sorted, I finally understood the appeal of old records! 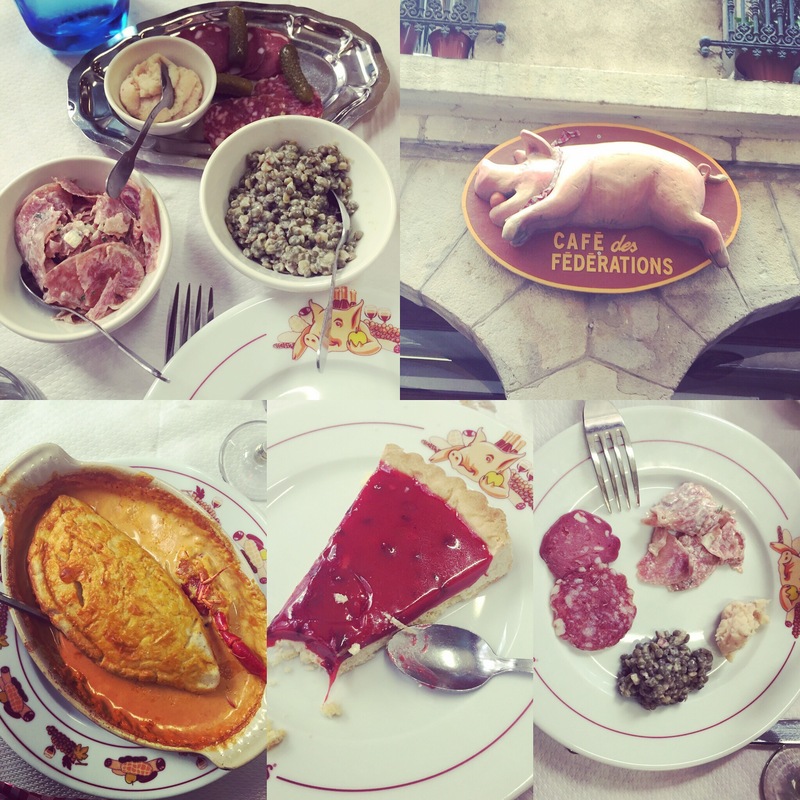 Cafe des Federations – One of the oldest and most famous Bouchons in the area. The Lyonnais still frequent this place as well. 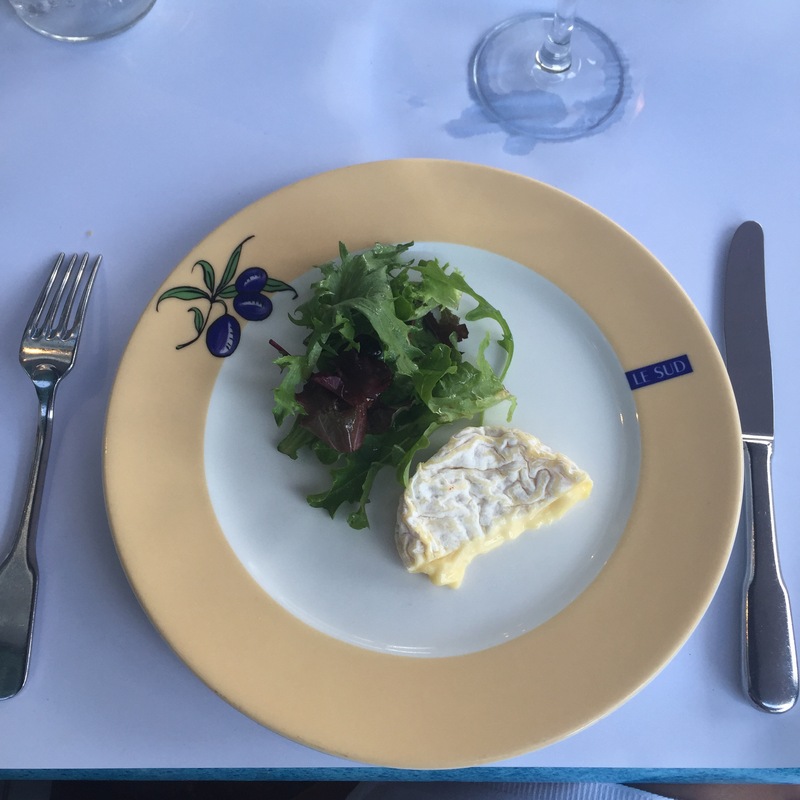 For $20 for lunch, you will not only get a good amount of food to feed you for the day, you will get a wide sampling of what traditional Lyonnaise cuisine has to offer between Saucisson and Quenelle. For an additional $3, you can add on a glass of a local Cote du Rhone to compliment your meal. Come hungry because this place will not disappoint. And, you cannot visit Lyon without visiting a traditional Bouchon. 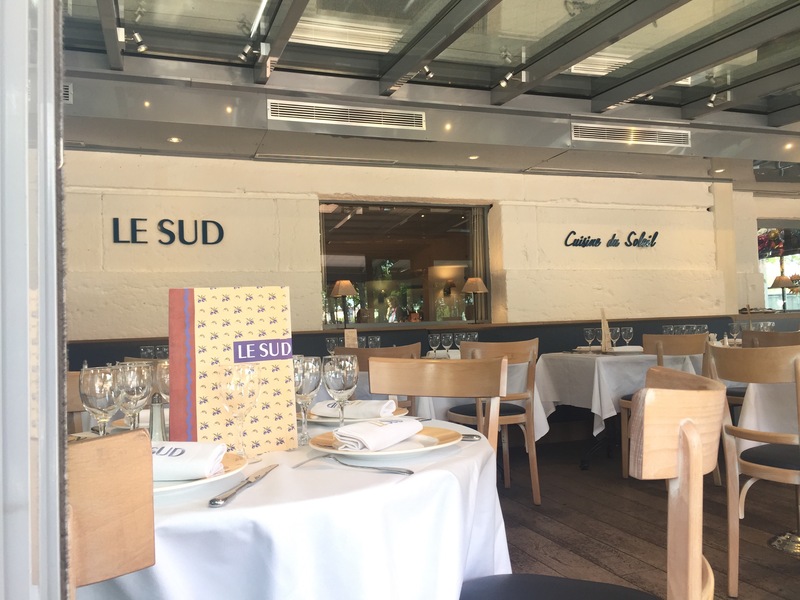 Le Sud – Paul Bocuse is a household name in Lyon and perhaps, the greater foodie world. Why? He has influenced the French gastronomy culture with his Michelin restaurants and brasseries. 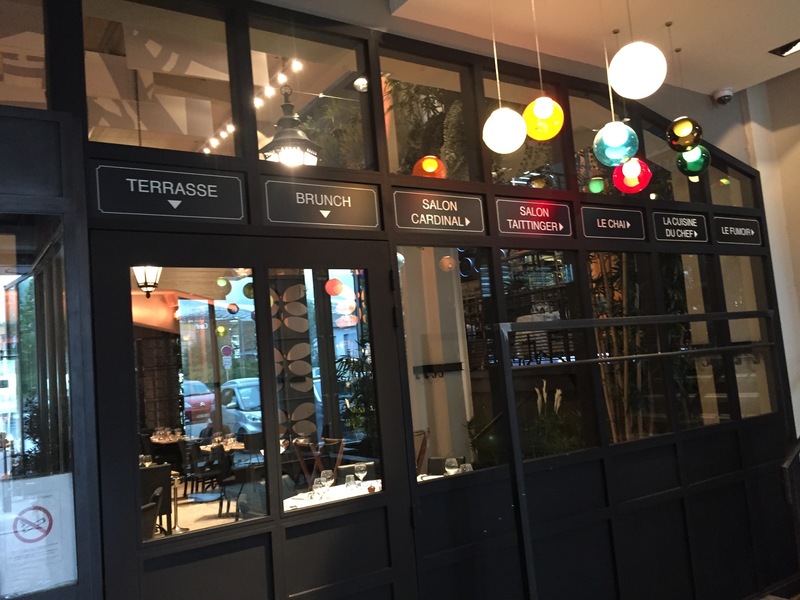 He is considered an ambassador of Modern French cuisine and after eating at this particular (and more affordable brasserie), I could see why. 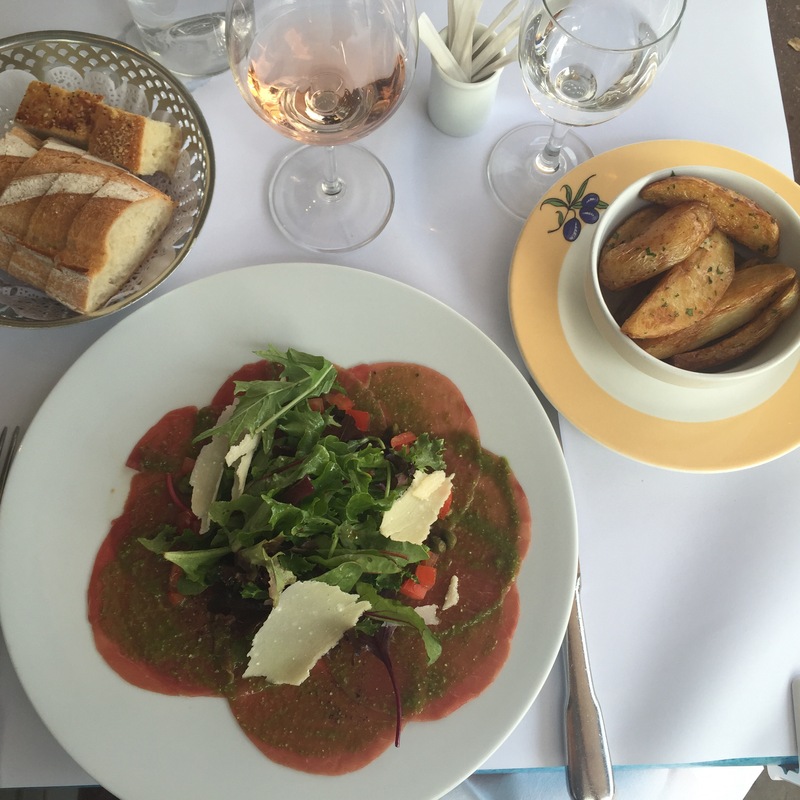 Located near Place Bellcoeur, Le Sud is one of Paul’s brasseries (Le Nord, L’Est, L’Ouest), each offering a different take on French cuisine. The terrace here is lovely so I suggest sitting outside on a nice day so that you can see the square and bridge along the Saone river. The large building serves fantastic food and allows your stomach to explore and travel on a journey, all in one building. 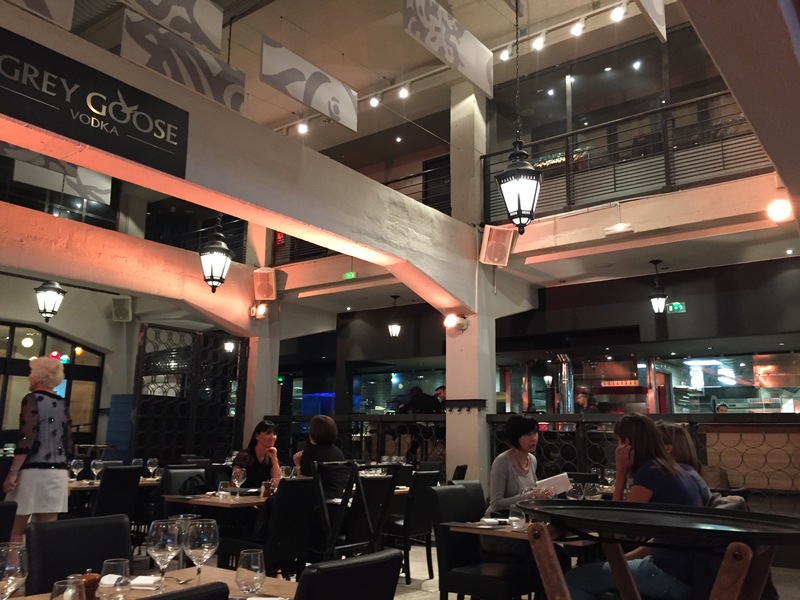 If open give Docks 40 a try – the day I went it was closed but it also comes highly recommended for modern food and fare. 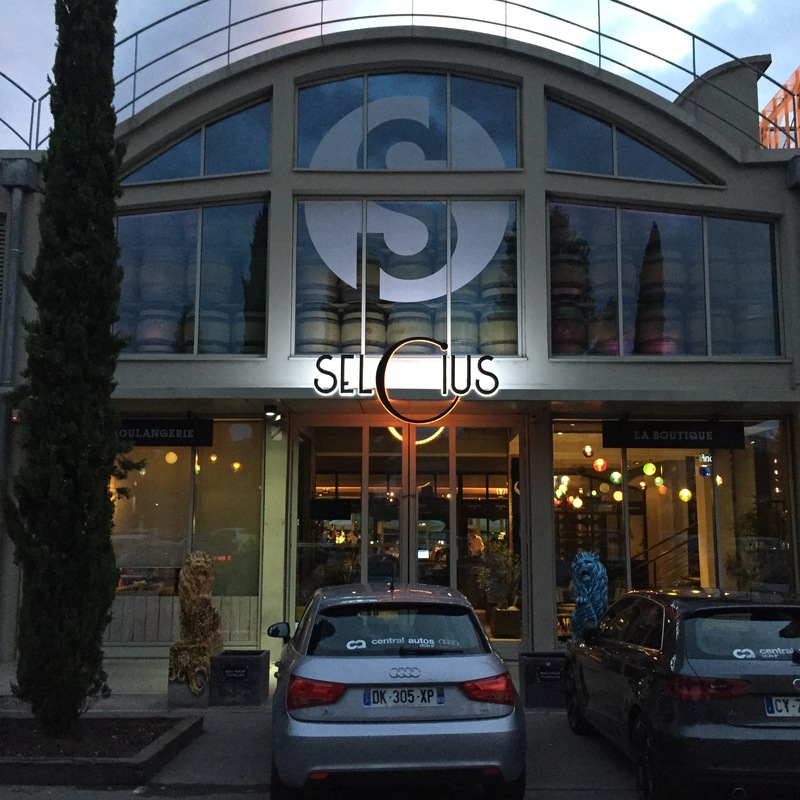 Soda Bar – If there is ONE place you go to get cocktails in Lyon, this is where you should go. Not only does this place make the most inventive cocktails, your booze comes with a side of soul/R&B beats in a swank and moody lounge or outdoor street terrace.The bartenders sure know what they are doing here and if there’s any soda for adults, I would want this soda forever! I had a drink made with Guava nectar and it did not disappoint. If you’re lucky, they may also feature old French black and white movies in their lounge for you to get lost in. 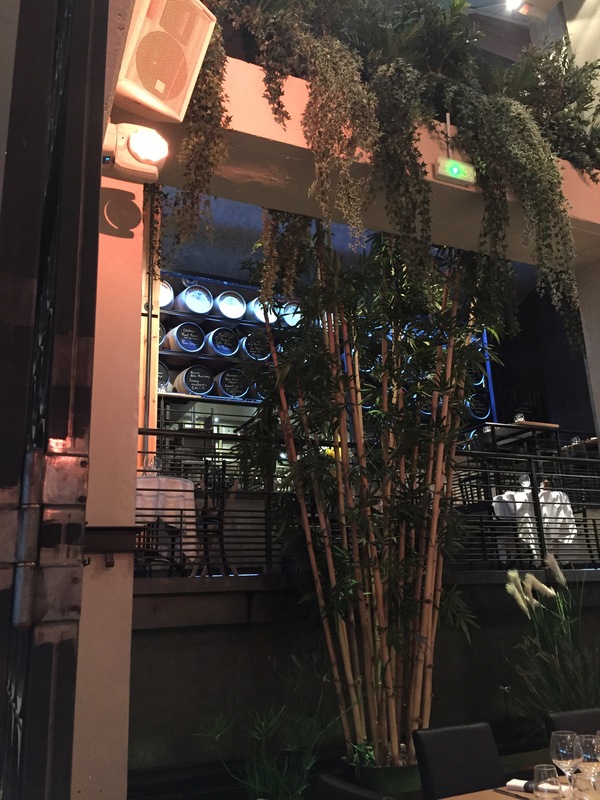 Daughter’s Wine List – Visiting a wine bar was on the must do list for Lyon so this place was a great pinch-hitter when I found out that La Cave des Voyageurs was closed. With a wine list over 30 pages long, I indulged and got a white and a red along with a chocolate boudin. Good news is that if you overindulge here and stay in the 1 Arr, you’ll have a bridge and several cobblestoned streets to navigate to work off your gluttony. Cafe Mokxa – The French don’t seem AS fanatic as the coffee aficionados of the US (and by Aficionados I mean the Chemex seeking, pour over perusing and crema hungry coffee Aficionados). However, in Lyon, the artisan coffee culture is blossoming in this city. This coffee shop was a great way to get my fix of a great Latte and the decor and outdoor seating was perfectly tucked in a laneway neighborhood. A great place to go to for an escape or to plan your next move. 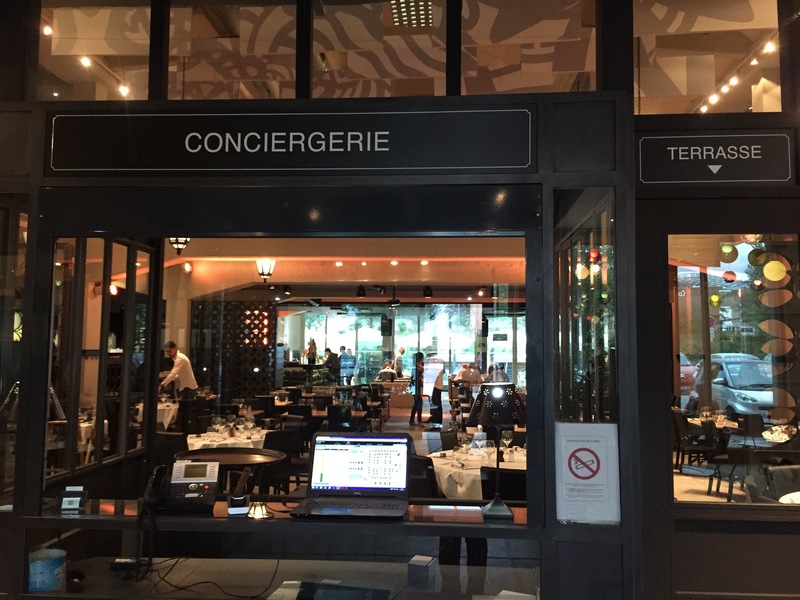 Crock ‘n’ Roll – If I hadn’t eaten so heartily at a bouchon, I would have loved to stop by here to fetch a meal. This casual Lyon chain offers two things – Croque Monsieur (variations thereof) and Music. Can’t think of a better combo when eating. 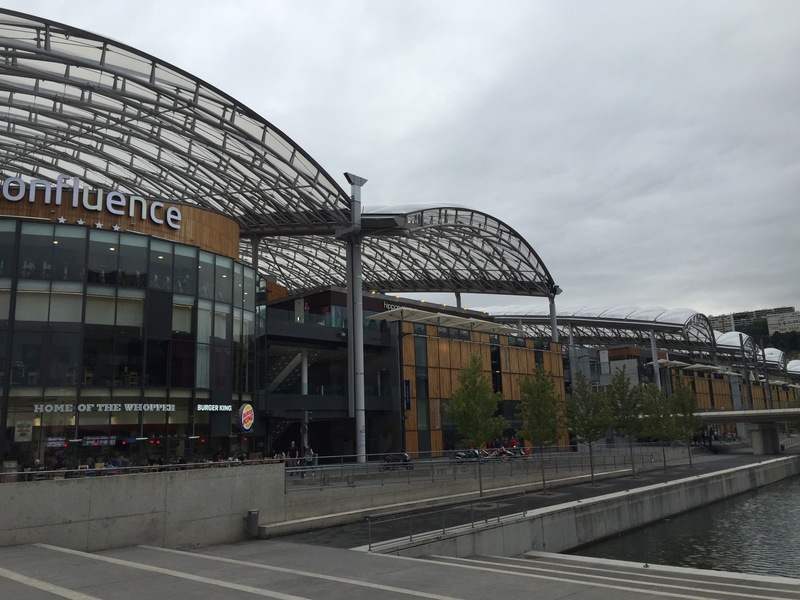 Halles Bocuse – The market hall inspired by Paul Bocuse himself. Another option that came highly recommended was to visit this market, browse the stands and eat like a local at the various stalls here. Previous Post Wandering x Lessons: You CAN Travel Solo.